Japan does not care about the Xbox. It's not that the console sells poorly, it's that it barely sells at all. At the end of last year, Japanese sales of the Nintendo Switch outpaced sales of the Xbox One X by a ratio of 52:1. The Xbox One X couldn't even beat the PlayStation Vita, moving about half the units of Sony's six-year-old handheld. This situation is probably self-reinforcing. Developers aren't going to want to make Japanese versions of Xbox games when the Japanese audience is so minuscule, and Japanese consumers aren't going to be attracted to a console that offers so few localized games. Even 17 years after the arrival of the original Xbox, Microsoft still hasn't gained a foothold in Japan. At this point the situation probably seems hopeless. But I think there's a way in, if Microsoft is willing to do something unconventional. I'm a big believer in the idea that when a company does something really stupid, it usually means there's an opportunity for their competition. An obvious example is when the latest (and perhaps now final) installment of SimCity had a disastrous launch due to the always-online nonsense, which allowed upstart rival Cities: Skylines to soak up all the disappointed city-building fans. Yes, developer Colossal Order made an excellent game. But if SimCity had delivered the game audiences wanted, a lot of people would have stuck with the more familiar, better marketed franchise. Cities: Skylines would still have been a good game, but it probably wouldn't have sold nearly as well and it certainly wouldn't have become the new standard bearer of the genre. The bungling at Electronic Arts created the opportunity for Cities: Skylines to become a hit. The very first batch of home gaming consoles originated in the United States during the late '70s and early '80s. 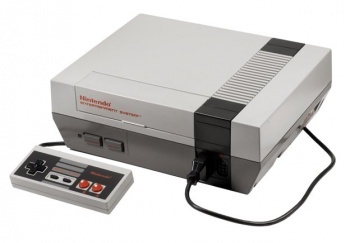 The ColecoVision, the Atari 2600, the Intellivision, and the Magnavox Odyssey are the most remembered today, but there were a lot of smaller machines that came and went at this point in history. The important thing is that they were primarily created by American companies. Wikipedia calls this era the second generation of gaming consoles. This naming is a little confusing for those of us who were kids at the time, since these are probably the first ones we heard of. The first generation machines were expensive single-game devices. The original Home Pong cost $100, which would work out to $540 in 2018 dollars. And it was just, you know, Pong. act as game designer, programmer, and artist on a single title. Losing one of these multi-discipline people was a huge blow to the company's creative output. Some of these people left to form Activision (a story for another day), which left Atari creatively understaffed. Not realizing the danger they were in, Atari continued to pump out games. These were made by less experienced people and under even tighter time constraints. Atari thought that quality didn't matter and that they would sell any crap they could stuff into a cartridge. They were wrong. I'm sure you've heard about the video game crash of 1983, so I don't need to recount all of that here. The result was that consumers abandoned the Atari and the American video game market collapsed. This stupidity created an opportunity for Nintendo to sweep in and conquer the west in 1985 with the original Nintendo Entertainment System. They were joined by Sega a year later with the Master System, and a few years after that Sony unleashed the PlayStation. These three Japanese companies dominated the American home console market until Microsoft showed up with the Xbox in 2001. This move changed the console landscape here in the West, but it didn't make a dent in the Japanese market. 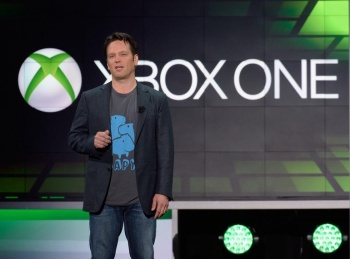 As Microsoft Xbox head honcho Phil Spencer has said, "I feel that a lot of [the games available on the Xbox] are not games that the Japanese public would play." The Japanese sell us their Nintendos and PlayStations, but they don't want anything to do with our Xboxes. The Japanese market is massively lucrative and could bring in billions, but the Xbox doesn't have many games that would interest that audience. So where is this supposed opportunity for Microsoft? This story came to my attention thanks to this Super Bunnyhop video detailing the plight of Japanese gaming bars. The short version is that the microscopic apartment sizes and strictly enforced noise rules of urban Japan make it difficult for a Japanese salaryman to come home to an evening of gaming. This is particularly true if you're looking for a social gaming experience like playing Mario Kart or Super Smash Bros. with your friends. Rather than stuff yourself into your tiny space at the end of the day, it's much more appealing to go a gaming bar where you can play console games and drink with your friends. The problem is that copyright laws in Japan are ... strange. (At least to us westerners.) If you have a bunch of legacy consoles in your bar, then technically you're breaking copyright by allowing people to play them. Yes, the console is 20 years old and the games are out of print and you properly paid for them, but apparently sharing your property with customers is illegal. 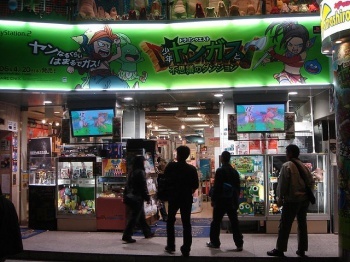 (This is a country where game rentals in all forms are illegal.) This wouldn't be a problem, except the game companies (and Nintendo in particular) are bloody-minded about the whole thing. Your gaming bar might be harmless to their bottom line, but they don't care. They would rather destroy your business than tolerate your customers being able to play Mario Kart 64 on the original hardware. Stopping this practice isn't going to result in more sales for Nintendo (the whole reason these people come here is because their apartments are unsuitable for this sort of gaming) so this is a case where a giant corporation is destroying a small business just because they can. Lots of places have been raided by the police and had their gear confiscated. This also explains why Nintendo has been so obnoxious about copyright claims on YouTube. To their way of thinking, it's better to bury an enthusiast channel in claims than tolerate them showing off Nintendo gameplay in the form of reviews or Let's Plays. Nintendo has made it so that people need permission from Nintendo to exhibit Nintendo game footage. They've been random about enforcement and nobody can tell what the rules are, but the result is a chilling effect on Nintendo coverage. A lot of gaming channels I follow have stopped covering Nintendo properties because it's just too risky and stressful. This is actually harmful to Nintendo in the long run, but Nintendo's leadership is inflexible and callous towards their grassroots fans. It's true that the Xbox doesn't have a lot of titles that appeal to the Japanese market. The Xbox is very shooter-centric, and that's just not what the buying public wants in that country. However, the Xbox has a few titles that could work. Japanese salarymen might not care about Halo, Gears of War, The Division, Metro, Crackdown, or Tomb Raider, but they might dig Kingdom Hearts, Jump Force, Rivals of Aether, Sonic & Sega All-Stars Racing, Valkyria Revolution, and Final Fantasy Type-0 HD. In that list you've got some JRPGs, a Mario Kart rival, and a counterpoint to Super Smash Bros.
No, these games won't be tapping into powerful nostalgia forces the way classic Sega and Nintendo titles do, but if it comes down to a choice between knockoff titles and no games at all, then the first option would be a win for everyone. The bar owner gets to stay in business, the customers get to play some games, and Microsoft can begin building a fanbase among people who would never have otherwise bothered with the platform. This is a chance to get the Xbox in front of fresh eyes while also building goodwill with Japanese gamers and business owners. It would cast Nintendo as the unreasonable bad guy and let Microsoft present itself as a friendly company just trying to be nice to gamers. Sure, it might seem like a long shot now. But remember that in 1982 Western companies had a lock on the U.S. console market and just four years later Nintendo was on top. History has shown that drastic reversals in fortune are possible, particularly when the buying public is being denied something they really want. Shamus Young is a game developer, an author, and nearly a composer. If you'd like to read more of his stuff, check out his website.